Abundant natural beauty, eclectic neighborhoods, and a stellar food scene make San Francisco a must for any West Coast itinerary. These unique activities allow you to see Golden Gate City through a different lens, whether you want to experience hippie culture, taste burritos in the Mission District, or explore famous film locations. Forget the usual bus tour and opt for a quirkier form of transportation to explore the streets of San Francisco. Take a journey through the 1960s and 1970s aboard a psychedelic bus or vintage Volkswagen, drive across the Golden Gate Bridge in an open-air red vintage fire engine, or float along the Sausalito waterfront in a historic wooden boat. San Francisco’s food scene is as diverse as its neighborhoods, so it’s a good idea to focus your culinary explorations on a specific area. Pair your food with vibrant street art in the colorful Mission District, find out why Berkeley’s North Shattuck area is called the Gourmet Ghetto, or fly by helicopter to wine country for an afternoon of tasting. There’s a lot more to San Francisco than Alcatraz Island and the Golden Gate Bridge. These activities let you dig a bit deeper to explore sides of the city that might not be immediately obvious. Duck into a private home for a cooking class, delve into SF’s movie history, or visit notoriously haunted corners. Some 25 million people visit San Francisco each year. These unique tours offer the chance to branch out from typical tourist haunts and enjoy experiences that many visitors never get to have. Capture the city in its best early morning light, take to the hills for an urban hike, or tour a lesser-known neighborhood like Pacific Heights or the nearby town of Sausalito. Take an open-air fire truck tour of San Francisco aboard a shiny red vintage fire engine. You’ll be the talk of the town as you suit up in a firefighter jacket and hat for a fun ride with the whole family.  Your professional driver narrates the tour from Fisherman's Wharf through the Presidio and across the city's world-famous Golden Gate Bridge to charming Sausalito. 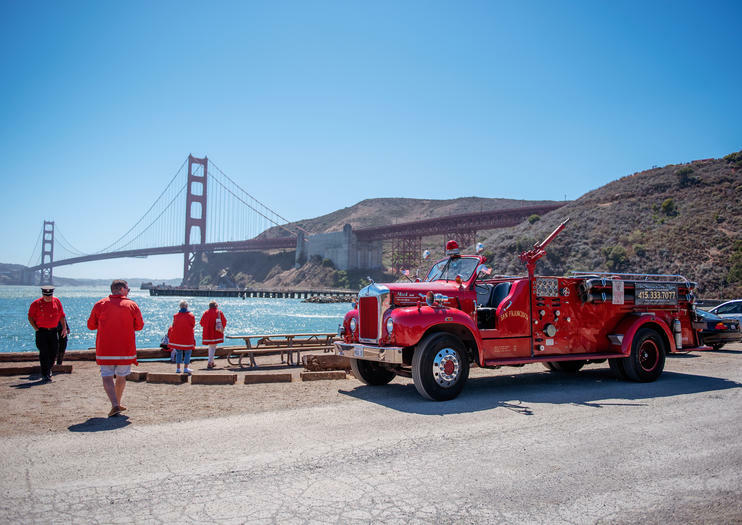 Fasten your seat belt for the drive of a lifetime on this small-group San Francisco fire engine tour, limited to 13 passengers. Conquer San Francisco's urban jungle on this 3-hour urban hike. Trek your way up Tank Hill and Kite Hill, spots favored by locals for great city views, and stroll through hidden forests. Visit the Seward Street Slides to play like a local kid and take spectacular photos from the top of Twin Peaks. Between the forests, lush greenery and hidden pocket parks, you'll find it hard to believe you're in the midst of one of the country's busiest cities. Learn urban legends, history and culture from your local hiking guide. On this 3-hour gourmet food walking tour of Berkeley’s ‘Gourmet Ghetto,’ venture behind the scenes of the North Shattuck district. Food tastings include gourmet cheeses, chocolates, gelato, pizza, sandwiches and wine at notable venues committed to sustainable and organic cuisine. An in-the-know guide introduces you to local owners and chefs who enlighten you about the culinary culture of this San Francisco Bay Area enclave. Learn to make two classic French desserts, taste tatin and creme brûlée, during a hands-on cooking class at a private home in San Francisco. Your professional chef-instructor shares the steps to preparing the desserts, along with tricks that make the prep and baking easier. Feel free to bring your own wine or other beverages for a festive lesson that ends with delicious desserts. Discover the famed architecture of San Francisco on an architecture walking tour with a guide. You'll see the Painted Ladies and other Victorian gems as you learn about the Queen Anne style and more. Plus, pass by homes where celebrities such as Robin Williams and Francis Ford Coppola have lived and homes you may recognize from movies like "Mrs. Doubtfire" and "The Princess Diaries." Experience San Francisco like a true local on a sunrise photography tour. Have the city and it’s iconic sights to yourself before the crowds descend and take photos of the city’s many sights and scenes bathed in early morning light. Tour San Francisco’s famous beaches and landmarks, and see hidden secrets with your photographer guide. This tour is ideal for photographers at all levels from those just starting out to seasoned pros. This is the classic version of the Sausalito Wooden Boat Tour* which is based on the Sausalito Wooden Boat Tour guide book. Local author and artist, Victoria Colella brings you into this sequestered world. Beginning with the Historic Houseboats then a stroll down the Gantry Crane Trail in the World War II Shipyards, exploring local art studios, Wooden Boat Center and into working waterfront. Here is where the floating homes are created and big boats are hauled out for repair. Victoria offers refreshments in the old boat lettering shack in the heart of Sausalito's working waterfront at the end of the tour. Tour takes about 3 to 3-1/2 hours. There is free parking, places to rest along the way and 3 restroom stops. *Turn off those cell phones for a minute. This is strictly analog and reading, dancing and reciting poetry may be required!